I was for a long time on the lookout for a handy book on Bangladesh to give as gifts to my non-bengali friends; so that they appreciate the richness of the bengali culture. Now that this book is on the market I can safely update my friends on my country. A positive and hopeful presentation of Bangladesh by a writer who loves the country while recognizing its many faults. 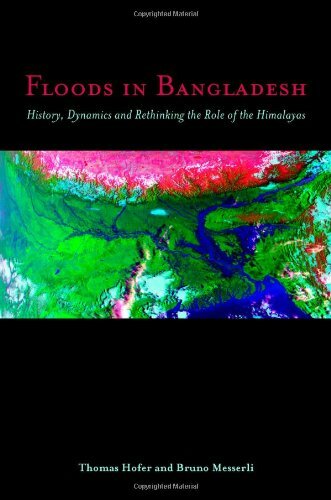 It is both a scholar's and an insider's view of Bangladesh, its history, geography, politics, and culture. As a Bangladeshi-American, I am disturbed at the number of publications potraying her as destitude, poor and disaster prone. Novak tries to disprove this 'theory of Bangla desh' and shows Bangladesh in the reality, like any Bangladeshi would. Reading the book at times felt like a Bangladeshi has written it. Novak's description of water, seasons and women of Bangladesh are true to the bone and I wish more people in the American media would have read this book before writing their presentations on Bangladesh. 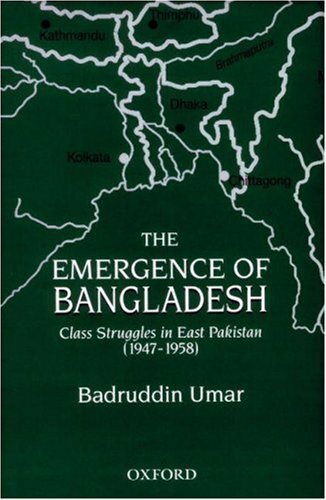 I recommend this book for anyone who wishes to know more about Bangladesh or for anyone visiting Bangladesh and for all Bangla deshis outside of Bangla desh. I was shocked to find out that someone from a western country could comprehend how a Bengali feels about Bangla desh. Me as a Bangla deshi always knew Bangladesh like the way Novak describes her. And quite the opposite of how the US media potrays Bangladesh! I thank Novak for writing such a wonderful book. I hope more books like this are written rather than media's obsessive relience on negative stereotyping of Bangladesh. PS: This book was published in 1993 and I think a next edition has become essential since the democtatic transition of the 1990's. 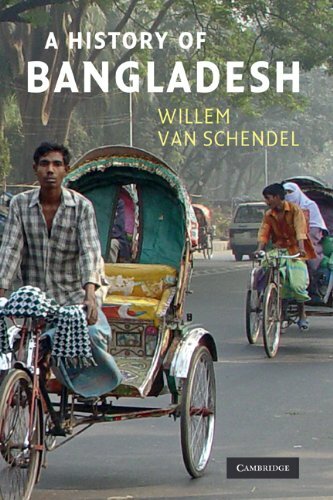 This is absolutely the best book to read about BanglaDesh. I loved the way Novak describes the seasons and connection to the Bangladeshi people. I have visited Bangladesh a few months back and I am glad I read this book before. But I do wish there was a newer edition as this version was written a few years back. Those who know about Bangadesh other than from media's perspective, see it as a nation full of promises and contradiction. A land so beautiful and bountiful yet so much devastation from nature and man-made. Novak keenly provides the details of how colonial rule devastated an otherwise wealthy nation into destitude and poverty. He also draws wonderful contradiction between US history and that of Bangladesh. A truly wonderful read. I was born in Bangladesh and lived there until my early forties. Although now I live in Australia, I keep in touch with Bangladesh almost on a daily basis. Though I was only fourteen at that time, too young to directly participate in the guerrilla war or not brave enough, like most people in Bangladesh, I experienced the 1971 liberation war of Bangladesh from a close quarter. The war left an indelible mark on my young but very politically conscious mind, like most people of our generation. 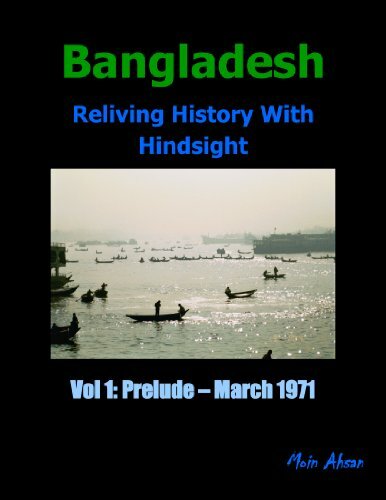 I always had a keen interest in the events surrounding the 1971 liberation war of Bangladesh, and the subsequent events that led to today’s Bangladesh. 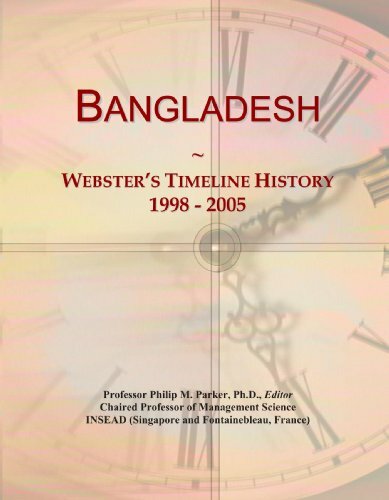 I have extensively collected and read almost anything that was published on those key events in Bangladesh - but, until now, I never really tried to structure and link my disjointed understandings. So I decided to write it down - my understanding and analyses of the events, based on my personal experience, readings and hindsight. These are essentially my personal analyses of the events. It is a shared journey of me and Bangladesh as I experienced it. A wide-ranging survey of the Indian sub-continent, Modern South Asia gives an enthralling account of South Asian history. After sketching the pre-modern history of the subcontinent, the book concentrates on the last three centuries from c.1700 to the present. 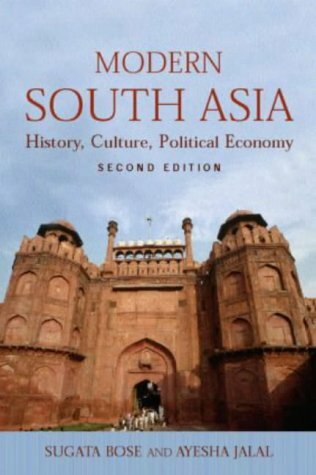 Jointly written by two leading Indian and Pakistani historians, Modern South Asia offers a rare depth of understanding of the social, economic and political realities of this region.The new edition includes a rewritten, accessible introduction and a chapter by chapter revision to take into account recent research. The second edition will also bring the book completely up to date with a chapter on the period from 1991 to 2002 and a discussion of the last millennium in sub-continental history. The book does not provide nearly enough information to truly understand the complexities of the situations. It presents a somewhat biased view, as one author is Pakistani and the other is a member of Subhas Chandra Bose's family (and so naturally has less than glowing praise for the Congress leadership at the time of independence). The book is often repetitive, making the same points in multiple chapters. It attempts to sound more intellectual than it really is, through the use of complicated vocabulary, while presenting a rather simplistic history of the region. Overall, a disappointing book. The book lacks originality and boldness, that is required for a post-colonial understanding of the past 300 years of Indian history. This is an eighth grade level account of India's history written in a high-sounding English. Also, this book assumes some familiarity by the reader with the past of India, but I think that if you already know that much, you do not need this book. Perhaps, and only perhaps, the books suffers from mediocrity because the two authors, one of Indian and the other of Pakistani origin, had to make compromises in the emphasis they could jointly place on the aspects of modern India's history which are interesting to the younger generation. One such aspect is the causes and consequences of the partition of India, the role of three parties - the British, Indian National Congress and the Muslim League. The book seems to shy away in taking a hard and penetrating look at this. There are hardly any citations to original sources where one could look for more detail. There are so many other good books where you can find modern Indian history covered at greater depth and width. If you have limited amount of money to spend to buy a good introductory book, then find another one. This book will disappoint anybody with a decent knowledge of the history of India. While this book provides is a good general review of the events in the subcontinent over the last 300 years, it is not rigorous in its treatment of various events that have occured. However, the authors have admirably condensed 300 years of history in a small text and thus the book merits three stars. I enjoyed reading this book, it is a concise and easy reading. It makes few but strong points--political economy of colonialism, freedom movement and also describes, what is known as the 'People's history' of South Asia. More focus has been given to Bengal, Punjab and Tamil Nadu. I wish there was some on more stuff on Sindh, NWFP, Nepal and so on. 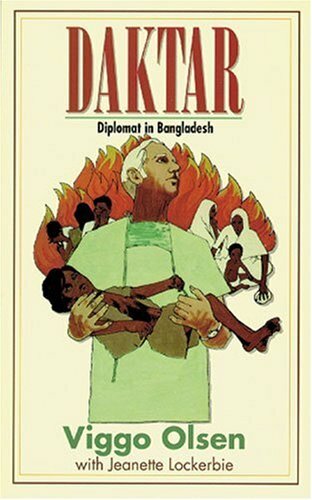 The reader might despair of Bangladesh after reading this book. It describes the massive overcrowing of > 100 million people on a riverine delta. Subject to annual flooding, as has just happened last week. In this case, due to a cyclone. The book describes how most of the land is at sea level. Actually quite fertile, due to the silt deposited by the rivers, that builds up the delta. Historically, this very fertility led to today's huge population. But the episodic flooding (quite apart from the cyclones) gives a concomitant death toll and massive property damage. The latter being inflicted on people with already very little. 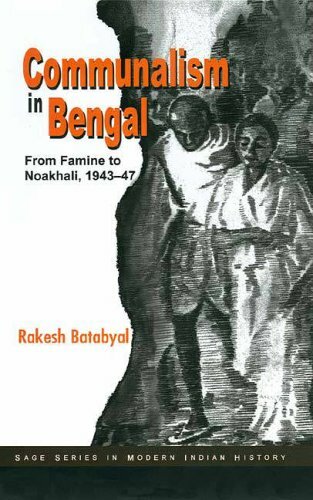 A fabulous compilation of life and times of Bengal 100 and more years ago. Over 115 histories and biographies with illustrations, make this journey into the past a very special one. This is the first representation of the most characteristic architectural and natural beauty of Bengal. Not just beautiful words, painted pictures, but actual photographs have been taken by the author himself. In the early nineteenth century this was a stupendous task of intellectual and physical labour. 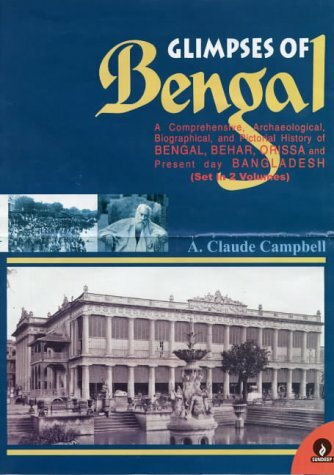 Thanks to this mammoth effort of A. Claude Campbell, we have available to us today an authentic, personally vouched and researched documentation of a very important era in the history of India. Every spot described was personally visited by the author. Every Indian aristocrat mentioned in this compilation was actually visited and interviewed by the author, although it has to be mentioned that historical facts mentioned and stories related are as told to the author by the personages themselves and may leave much scope for argument. Not only the well known historic buildings, archaeological remains, but coverage has been given to the less accessible parts of the country as well. Specially to the natural wonders, relics of by gone days. THE "MUNSI" HOUSE OF TAKI AND BARAHANAGAR.-Family History of Babu Ramanath Ghose-The Mullick Family-Dr.Sarat Kumar Basu Mullick-The Late Dr.Trailakya Nath Mitra-Babu Neel Comul Mookherjee-Mr.R.N.Mookherjee-Babu Promatha Nath Mullick-The Late Kumar Radha Prosad Roy-Seth Dooly Chund-Rai Buddree Dass-Jain Temple-"Mopokim Niwas"
PRESIDENCY DIVISION-Murshidabad Palace-Moulvi Khondar Fuzli Rubbee, Dewan-Babu Janaku Nath Paure,B.A., Naib-Dewan, etc. For anyone curious about what it feels like to be deeply in tune with the purpose that God has for your life - you will find the great adventure described in detail.God's faithfulness through the good and bad are detailed with real examples. 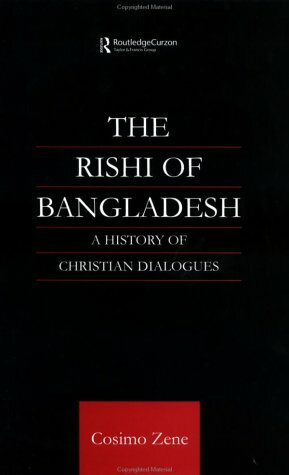 The book captures what it is like to be a follower of Christ to the "ends of the earth" - in this case Bangladesh.Admittedly, I did not have much interest in Bangladesh prior to reading this fascinating book, and I may not need to read any others because so much history is covered by Dr Olsen.Worth the read for inspiration and faith building. I read this book with an agenda.In the mid-1970s a little booklet called "The Agnostic Who Dared to Search" was available in Christian bookstores.It was taken from chapters 5 and 6 of Dr. Olsen's book. It detailed how Dr. Olsen and his wife accepted the challenge proposed by her newly converted parents in order to bring an end to family arguments about religion.The Olsen's thought it would be easy to dust off college notes about errors in the Bible and silence the in-laws.About this time Dr. Olsen also revelled in telling nursing students their belief in a special creation by God was foolish and evolution is endorsed by thinking people everywhere. The Olsens were surprised to discover the critiques they had in college notes exposing flaws in the Bible were themselves weak and faulty.They began to realize many things point to God, but which god?Perhaps other religions are as good as Christianity or even better.In time all criticisms of Christianity fell away and the Olsens believed in Jesus as the Son of God and their savior. I used to give that small booklet to many people.Then as quickly as it appeared it became unavailable.I wanted to read the source book in its entirety for a complete context.That would be "Daktar..."
"Daktar..." adds some interesting examples of how God led the Olsens and their medical mission in Bangladesh.As noted in other reviews, it also spends many pages in detail about political developments in East Pakistan.For the average reader, these details numb the mind and take away from the story. I am glad I read the book, but it could have been a lot shorter for my purposes. The man of the hour, Dr. Olsen, is remarkably used of God to bring many to Christ in the country of Bangladesh in the 1960's and 70's where violent governmental unrest formed calculated demise.East Pakistan forcibly moved to an autonomous state to mold a parliamentary government, birthing death and destruction in its wake to freedom. Dr. Olsen, his medical team and hospital were spared razing through God's timely intrusion. The book parts throughout to reveal many a miracle beginning with Dr. Olsen, himself.He was a riotous, sin-seeking man before the phenomenal change by Christ.One medical associate refused to conceive that he came to the Savior as he whole-heartedly believed it unfeasible. He was well aware of the magnitude of sins that controlled Dr. Olsen's previous being. God took this reprobate of a man and turned him into an on-fire believer who left a spiritual trail of productive Christianity. Drawbacks to the book: It was hard to tread through as it was penned in a detailed manner that lacked reader-appeal with its lengthy facts; reading through political details can relax one to a slumbering snooze. I also felt much more scripture could have been supplied to enhance this work.In addition, the details of the miracles of Christ could have been expounded upon. It would have been great to hear more of the conversion of the heathen through the compassionate healing hands of Dr. Olsen. When I told my pastor I was interested in third-world development, he gave me a dusty hardback copy of this book. It changed my outlook dramatically. All I can say is, when someone is totally yielded to God, real life is so much more exciting than fiction. The book starts a little slowly, and sometimes I felt like Olsen was getting bogged down in painstaking theology issues, but I think that reflects the painstaking process the realization of truth was for him. Stick with it, because when the story picks up, you won't be able to put it down. Olsen and his team demonstrate a ministry that is pure gospel rather than cultural imperialism. May change your mind about missionaries! Highlighting the dynamic, pluralistic nature of Islamic civilization, Sufia Uddin examines the complex history of Islamic state formation in Bangladesh, formerly the eastern part of the Indian province of Bengal. 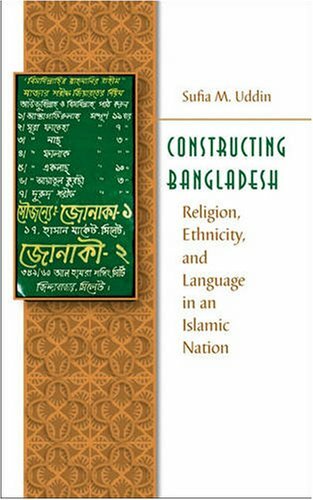 Uddin focuses on significant moments in the region's history from medieval to modern times, examining the interplay of language, popular and scholarly religious literature, and the colonial experience as they contributed to the creation of a unique Bengali-Islamic identity.